This trip is planned to break a little with our tradition. We usually try to go for a mixture of new areas and favourite reliable areas. Our favourite reliable area is a dairy sheep farm at Fanjeaux, just south of Carcassonne. This is where we usually finish our trip, largely because, once we’re there, we find it damned difficult to leave. 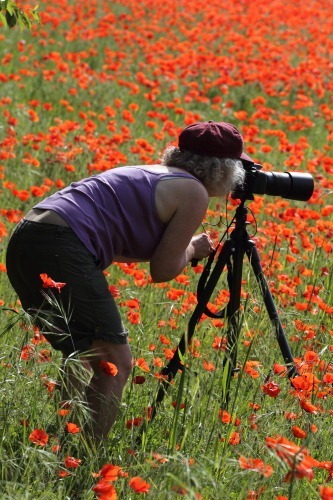 This time, however, we are planning to get to Fanjeaux as early as possible to maximize Francine’s chance of seeing a good collection of wild flowers in the Pyrenees. My main interest there will be seeing just how much of an effect the intensive Koi Carp farming, recently introduced into the lake, has actually had on the Odo population. I fear the worst. The site doesn’t formally open until June 1st so we’ve got the best part of a week to get down there. Our first stop en route is to be Luché-Pringé which, being on the banks of Le Loir, makes for a very relaxing, rural spot and offers the chance for a little more serious Odo chasing. After 4 hours travel, we turned off the main roads onto the final approach road that would take us into Luché-Pringé itself. 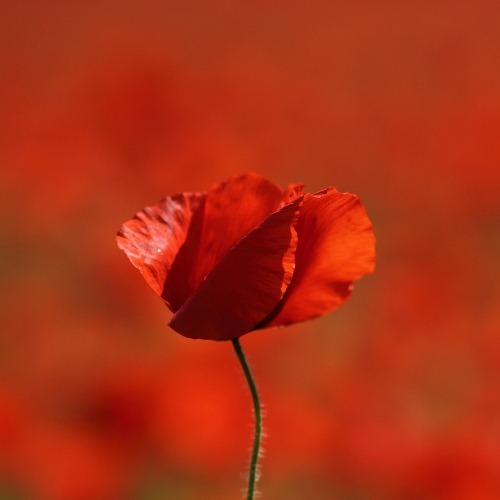 We’re quite used to seeing red poppies beside the roads; we’ve even visited the first world war battle fields of the Somme, an area known as le Pays du Coquelicot [the land of the poppy]. 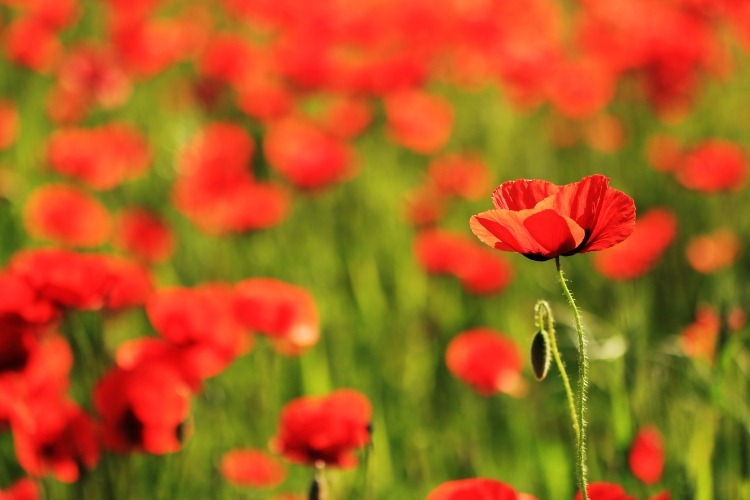 Poppies apparently like freshly turned bare earth and there’s nothing like a barrage or two of high explosive for turning over soil and creating fresh, bare earth; bare, that is, but for the thousands of bodies and body parts deposited upon it. 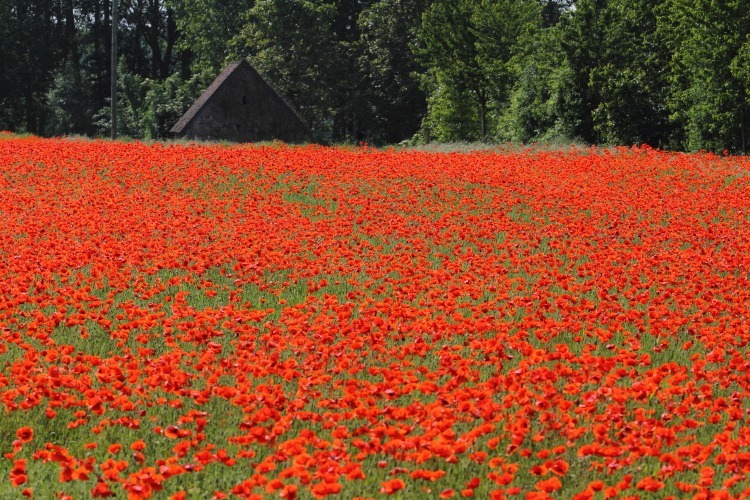 We have never, however, seen such a concentration of poppies as we saw in two adjacent fields shortly after we began our approach to Luché-Pringé. Stopping in what amounts to a country lane with Guillaume in tow is a decidedly bad idea. However, red carpets of poppies were like a red rag to a bull (or should that be cow?) for Francine and we just had to return after pitching Guillaume to try and capture the spectacle. Oddly enough, several other locals had exactly the same idea, other than the pitching Guillaume bit of course, but there were so many poppies that snapping them without tourists ruining the shot wasn’t difficult. With such a display, once we’d tried to convey the sheer expanse of the colour, it was irresistible to try and get a little more artistic – or should that be autistic? Anyway, here’s a couple of attempts by Franco and Francine at some red artistry.